As a leading eCommerce fulfillment company, we at eFulfillment Service (EFS) often work with startup merchants that are new to order fulfillment, and occasionally aren’t too familiar with what it is or how exactly it works. These general definitions can apply to many types of orders, from large business-to-business (B2B) orders, to individual direct-to-consumer (D2C) orders. Because we’re an Internet fulfillment company, for this post we’ll talk in particular about eCommerce order fulfillment, which we’ll more specifically define as the steps involved in receiving, processing and delivering online orders to end consumers at residential addresses. Whether you outsource your order fulfillment to a company like eFulfillment Service, or you choose to do it in-house, receiving inventory from your manufacturers or suppliers is the first step toward getting orders to your end customers. It is also not uncommon for items to be kitted during the receiving process. Check out our post, Can Kitting Save You Money on Order Fulfillment?, for more information on kitting. Each SKU is often designated an individual storage bin to allow for faster, more efficient order processing. Typically only a portion of inventory is placed in bins, with overflow storage residing in a separate area of the warehouse. “Hot SKUs,” meaning those that sell the most often, should be placed closer to order packing stations, which may involve the occasional reorganization of bins, something that software can assist with. So now your inventory has been inspected, sorted and placed on shelves in the warehouse. Next comes order processing. The first step in processing an order is receiving that order. Once an order is placed online by a customer, there are a number of ways for eCommerce sellers to get that order to their fulfillment warehouse. The most ideal way is by integrating fulfillment software with your shopping cart to allow orders to be automatically received by your fulfillment warehouse. At EFS, we receive orders a few different ways. There are a variety of methods and technologies involved with picking and packing orders, and what works for one seller may not work for another. This is one of the main reasons eCommerce merchants decide to outsource their order fulfillment, as they simply don’t have the in-house experience, expertise or technology to maximize order processing efficiencies. It is also the responsibility of the ship station to update the status of an order so sellers know when those orders have been shipped, and so that those sellers and their customers can track the order to the point of delivery. When answering the question, “What is Order Fulfillment?,” it’s important not to forget about returns. While the five steps above have been explained at a basic level, each involves numerous intricacies that often need to be tailored for each individual seller, and even for different types of orders. So if you’re ever asked, “What is Order Fulfillment?,” it’s probably easiest to just give the basic definition at the top! If you’re an eCommerce seller in need of affordable order fulfillment for your business, let us know, we’d love to chat. As a leading ecommerce fulfillment company, we often get questions about how order fulfillment works. So in this post, we define order fulfillment and the basic steps involved. Hi Simon, thank you for the comment! One of the nice things about eFulfillment Service is that we have an in-house IT team that is able to do custom integrations. In addition to direct integration with your ecommerce software, we have a couple of other ways that we can receive your customers’ orders, including a CSV import, which allows you to import multiple orders at once. If you’d like to learn more, and/or receive a quote for our warehousing and order fulfillment services, please feel free to submit a quote request (http://www.efulfillmentservice.com/get-a-quote/), call us at 866-922-6783, or contact us via email at sales@efulfillmentservice.com. Thanks for that, will pass your details on to our MD. Hello, we are establishing a dropshipping business. How does your system work with dropshipping? Or not? Thank you. Hello Hani, thank you for your comment. Would you be able to provide a bit more detail? The reason I ask is that the term “drop shipping” can mean different things to different people. How we typically work is that we warehouse our clients’ inventory, we integrate with their shopping carts, and as orders come through their shopping carts, we automatically pull them into our fulfillment software and our operations crew will pick, pack and ship the orders. We also have clients that store little to no inventory with us, and we act as sort of a cross docker for them, meaning we break up large bulk shipments and then send individual parcels direct to their customers. I’d be happy to chat more about this. Please feel free to either reply to this comment, or you can reach out at sales@efulfillmentservice.com. Thank you! I ordered something from Ali Express and it just now poped up saying on the tracking “order fulfillment complete” but the date on it says that started about 2 weeks ago, does that mean I should already have my order? Thank you for your comment. Generally when you see “order fulfillment complete” on the tracking, it means that, yes, the package should have been delivered. However, we actually do not work with Ali Express here at eFulfillment Service, so to confirm the fulfillment status of your order, I would recommend contacting Ali Express directly. If you need anything else, please let me know. Thank you! I have a question. Do you also inspect the products before you ship them out, in terms of their condition/state (for eventual damage)? Do we then get a notification if some products are damaged or otherwise compromised in some way? Thank you for your comment. And that’s a great question. Yes, prior to fulfillment of our clients’ orders, we will inspect the merchandise as we pick and pack it. If any merchandise is damaged or the quality looks to be compromised in any way, we will pick, pack, and ship a separate unit, and then put the damaged unit aside and notify our client. I hope this helps. If you have other questions regarding any of the workflow or processes here at our order fulfillment center, please don’t hesitate to ask! I would like your order fulfilment service for my online store. what is the cost and procedure? I anticipate your response. Thank you for the comment, and for your interest in our order fulfillment services for your ecommerce store. One of our salespeople will be in touch with you shortly! Would the process be different for a crowdfunding project? Thanks for reaching out. That’s a good question! Yes, the order fulfillment process is typically different for Kickstarter and Indiegogo projects, as well as other crowdfunding campaigns. What makes the process different is that there is typically little to no storage or warehousing involved. In most cases, the crowdfunder will have a specific amount of merchandise manufactured during the initial production run, and that amount is based on the number of backers they have. They would then send that merchandise to an order fulfillment center in bulk, and that order fulfillment center would then break down the merchandise into individual orders, and ship them right back out to their backers. Here at eFulfillment Service, we provide a great deal of flexibility when it comes to crowdfunded projects. For example, we may have a Kickstarter that wants us to only handle order fulfillment for backer orders. They may want us to fulfill orders to backers all over the world, or only in certain countries. We also have several Kickstarters that want to handle their ongoing order fulfillment as well, so they will send an initial batch of merchandise to handle their backer orders, and they will later send additional batches of stock to use for their ongoing orders that they receive through their own ecommerce store and various marketplaces. And because we’re generally able to handle a large number of backer orders at one time, we do provide discounts for crowdfunder projects when they utilize our order fulfillment services. Hope this helps. Please let me know if you have other questions! I was curious as to whether or not your company charges a pick and pack fee for individual items. Often for companies such as mine it is more worthwhile to pay a higher per pallet storage rate opposed to the pick and pack fees. Thanks for your inquiry. We work with hundreds of ecommerce sellers across the globe, and we’re accustomed to working with sellers of all sizes that sell a wide range of merchandise. So, I certainly understand why you’re asking this, as some order fulfillment models may seem more appropriate than others. To answer your question, yes, we do charge a pick and pack fee here at eFulfillment Service. The reason is that there is direct labor associated with picking and packing of each order. If we charged a higher per pallet fee, we likely would not be covering our costs for clients that had higher order volume unless the per pallet fee was quite a bit more, which would likely work out to be the same as having a pick and pack fee. We have other clients that ship less, so they appreciate our low inventory storage costs, as the pick and pack fee only applies when they receive orders, which is not as often as some other clients. Hope this helps. If you have other questions or want to talk further, please feel free to email me at sales@efulfillmentservice.com. Can you please confirm about cross-docking freights too? Please share a link to the information. Thank you. 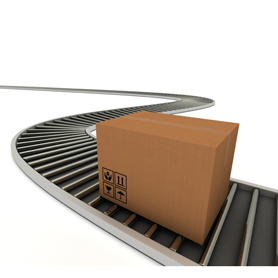 With regard to your question on cross docking, that is indeed one form of order fulfillment. With cross docking, there is typically little to no warehousing involved. Cross docking essentially means that stock will arrive at one warehouse dock (inbound), and then is quickly shipped back out through a separate dock (outbound). Between the time that the stock arrives and is shipped back out, there is often some type of task performed, which may be as simple as breaking down one or more pallets into smaller, individual orders, or perhaps some type of kitting or assembly work that is required before final order fulfillment to the end customer. I bought some stuff online but tracking it, I realised sender requested a delivery change, hence items were sent back to the online store. when I sent an email to enquire why, they said they needed to do extra verifications and that order will be “returning to fulfillment”. what is the meaning of that phrase”order will be returning to fulfillment”? Thanks for reaching out here. My guess is that when they way it’s “returning to fulfillment,” they mean that your order is returning to the order fulfillment center that shipped it out. Once the complete the extra verifications you mentioned, you will likely receive an update with a new tracking number. Is it possible for your service to use a specific box if supplied to you by the business, or do we use your own boxes only? Just in terms of a brand using a branded/designed box which goes with the image of the product, using my own boxes would be great. In some cases, yes, we do allow our clients to use their own branded boxes when we’re handling their ecommerce order fulfillment, including with subscriptions. It is dependent on a few factors, so, if you’d like, I can put you in touch with our sales team or you could fill out our quote form with more information, and we’ll follow up with you shortly to provide additional details. Hi there, I ordered from a website called dream closet couture on January 22nd. It says under my order fulfillment status: fulfilled and it also says above everything order fulfilled January 24th. I’m not quite sure what that means because i haven’t gotten my order and i’m not sure if you work with the website i ordered from. I hope you can tell me if my order should have come by now but I am a little worried that my order was sent to the wrong house because the website has a button for tracking information and when i press it the button says, there is no tracking info available although I received an email saying it was shipped! Thank you and I hope to recieve a reply back!! Well explained. It gives a good insight into the order fulfillment. Thanks. I’m considering the your fulfillment service for my online store. what is the cost and how is procedure look like? Thank you for your interest in our order fulfillment services for your ecommerce business. We work with online sellers of all types and sizes, and we’re looking forward to talking and learning more about your efulfillment needs. Your inquiry has been passed along to our sales team, and you will hear from them soon.